Sorry, I only wrote this manual in German but if you follow the links I have included, you will get to English guides explaining how to create your own templates for quick create on Zazzle. Man kann damit ALLE auf Zazzle erstellbaren Produkte abdecken und ist nicht auf die limitiert, die von Zazzle während der Schnellerstellung vorgegeben werden. Um die Übersicht zu behalten, empfehle ich zuerst in eurem Shop eine neue Kategorie zu erstellen. Nennt diese z.B. “Vorlagen”. Wenn ihr die Kategorie auf “versteckt” setzt, kann sie niemand sehen. Wenn ihr die Vorlagen freigeben möchtet für andere, dann macht sie nicht versteckt. Geschmackssache! Sucht euch die Produkte raus, die ihr als Vorlagen möchtet. Wenn das alle sein sollen, dann nehmt euch ein paar Stunden Zeit, denn es werden so etwa 170. Erstellt ein Produkt erst mal ganz normal – also Bild hinzufügen. Dann geht ihr in die Einstellungen des Bildes (über das Zahnradsymbol) und setzt das Häkchen für “als Vorlage verwenden” und JETZT kommt der ALLERALLERALLERWICHTIGSTE Teil bei der gesamten Vorlagenerstellung. Wenn ihr das nicht beachtet, werdet ihr euch wie ich über ein Jahr nur ärgern, was das für ein Sch**ß ist und es nichts bringt und überhaupt, was soll daran so toll sein? Benennt das Bild UNBEDINGT Image 1 oder es wird später nicht durch euer Bild ersetzt werden. Meistens steht zuerst Image 0 da, macht unbedingt aus der 0 eine 1! 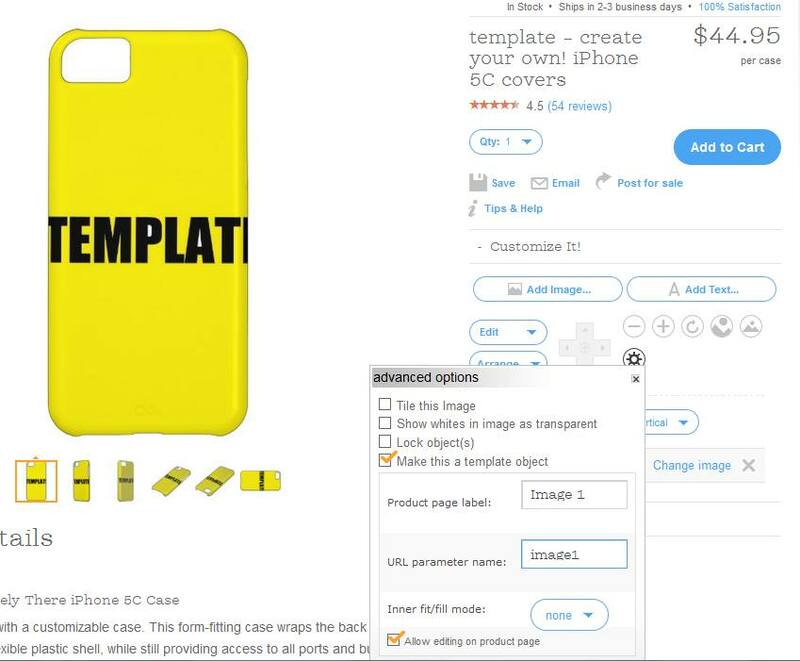 Bei “Product page label” muss Image 0 stehen und bei “URL parameter name” muss image0 stehen – Vorsicht mit dem Leerschritt! Wollt ihr einen Vorlagenartikel erstellen, der beidseitig bedruckt wird (z.B. Tischkarten) dann macht ihr diesen Schritt entweder zweimal (einmal pro Seite) oder ihr macht erst eine Seite, kopiert das richtig eingestellte Foto dann auf die zweite Seite – die Einstellungen inklusive der Benennung “Image 1” werden dabei übernommen. Geht dann auf “sell product” oder “zum Verkauf anbieten”, wenn ihr fertig seid. Beim Titel und der Beschreibung reicht ein einfaches “Template” oder “Vorlage”. Wählt die Shopkategorie aus, die ihr für Vorlagen gemacht habt. Achtung: Wenn ihr irgendwann 100 Vorlagen in der Kategorie fertig habt braucht ihr eine zweite Kategorie, weil die Schnellerstellung nur 100 Produkte auf einmal kann. Wenn ihr die Schnellerstellung beginnt, dann wählt nicht ein Bündel von Zazzle aus, sondern sucht euch direkt darunter eure Shopkategorie mit den Vorlagen heraus. BILLY! Who the f*** is Billy? This is a very comprehensive and simply awesome manual on how to set up your own blog about Zazzle or anything else. Great blog post! Starting a blog is a fantastic way to promote your products, your brand and yourself. Did you also know that writing a blog is also a great way to connect with your fans and customers? Today, we’ll show you how to create your own blog on one of the most popular and easy to use platforms – WordPress. How to Use Twitter The Right Way! This post is not only useful for Zazzle sellers, it does also apply for Cafepress, Etsy, Ebay or any other website or product you want to promote. They join Twitter, tweet some messages and are crushed that their “promotion” does not have any effect. If this sounds like your experience, you did it all wrong. Sorry to say this but Twitter is an easy website for free promotion but you need to do it the right way! It has no use sending out tweets and then hoping to sell something. Twitter is a social website, so you need to be social! Find Twitter users with similar interests and related tweets. Use the search box on tip of the Twitter page and search for a relevant topic, e.g. Zazzle. Then follow some users who share the same interest. When you see related tweets (e.g. about Zazzle), click on “retweet” and share their tweets! That way you spread their word and most Twitter users are very likely to go to your profile, follow your tweets and retweet what you had to say! When you receive a notification from Twitter that someone followed you, check out their profile and follow them back! When you receive a notification that some has re-tweeted a tweet than it is your duty to retweet one of their tweets! Once you get the ball rolling, your “circle” of retweeting users will grow and so will your influence! I myself make it a daily habit to check my emails for notifications and then I actively follow back and retweet. What I do not like at all are people who do not return the courtesy of re-tweeting. They got it all wrong, are probably still hoping for some success through Twitter and will eventually fail. So, let’s all retweet and grow our success together, shall we? This is an extremely helpful article about Wanelo and Zazzle. I did not know about stories myself! You need to check it out! Wanelo, pronounced “wah-nee-loh” from Want -Need-Love, is a social shopping website where you can save and share your favorite products from various sites. With more than 10 million users, it’s a great website to gain exposure for your store, and with its recent app update, it’s creating more buzz than ever. In the new version of the Wanelo app, the user is prompted to share their Wanelo profile, which contain wishlists and collections, via email, SMS, or social media as soon as he or she logs in. With the holidays coming up, this is the perfect time to get your products on Wanelo and onto poeple’s wishlists. A new Zazzle feature allows designers and associates to create curated landing pages. For example, you can now create a landing page that has related products like Holiday Cards & Stamps or Gifts & Wrapping paper, or Plates, Mugs & Placemats. You can use your own products and products from other designers. Advertise your Zazzle Shop by Blogging about it on Triond! Triond is a great site that let’s you blog for free and does even pay you for it! On Triond, you can write informative articles and blog about topics you enjoy. I am blogging about my adventure on Zazzle for over a year. I mostly post my weekly sales or recommend special product lines (e.g. Halloween related products or the most beautiful iPhone 5 Cases). Triond is easy to use and they publish your content on over 10 of their network sites according to the topic you write about to ensure targetted audience. Looking for Scenic Wall Stickers to Improve Your Home? 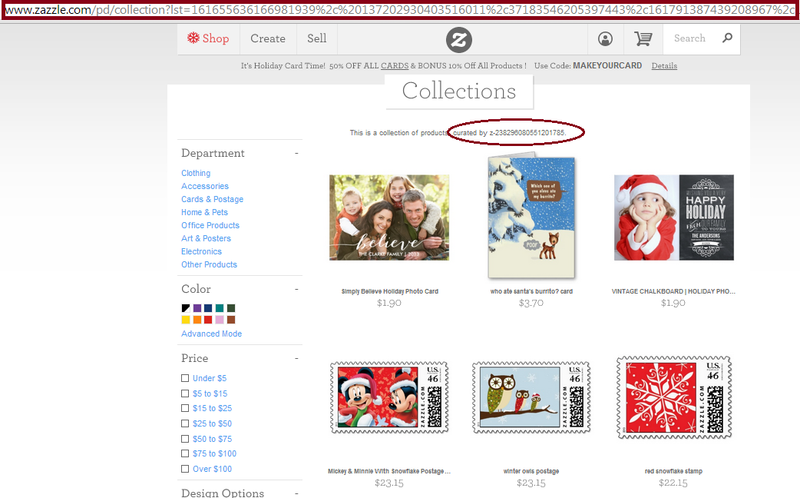 As you can see, I blog about a variety of Zazzle related topics and share some advice for other Zazzlers. And the best part is that you can earn money by writing! Triond does pay you. Although it is just peanuts (a few cents per article), it adds up and I receive a payment of about $1 a month. That’s $12 per year for advertising my Zazzle store for free. Pretty cool, huh? So there had been really horrible news around lately that we sellers would not earn any volume bonus anymore. I myself had misunderstood the official Zazzle news. I thought that from July 2013 on, we only can earn bonus when we REFER sales. But that is not true, the basic seller volume bonus remains, the only thing that changes are the percentages. We will earn less (in my case 1% instead of 7% in a regular month. Multiply your Zazzle earning power beyond your royalties with volume bonuses! As a Zazzle Associate, you can earn volume bonuses by referring your sales on Zazzle. The more you sell, the more you earn! This program and ALL selling on Zazzle is 100% FREE! The source of this information, some FAQs and more can be found directly at Zazzle HERE.